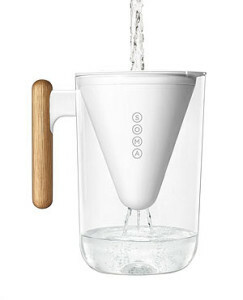 The Soma water filter pitcher is great looking water filter pitcher small enough to fit in your fridge and big enough for daily use of a small family. It is 6 inches wide, 9 inches deep and 10.5 inches high and holds up to 80 oz or 10 cups of filtered drinking water. The functional design makes it easy to fill and pour water without spill. This is a luxury you will enjoy if you tried other pitchers before. 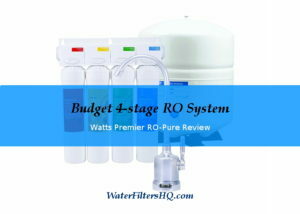 You can filter about 40 gallons of tap water before you need to replace the filter unit. If you use it less, a replacement after two month is still advisable to ensure your water stays crisp and clean. The beautiful designed pitcher is made from BPA-free plastic with an oak handle, supplied by an U.S. company. The shatter-proof material is probably better than glass if you have children. The claims for removal of chlorine, bad taste and odor, zink, copper and mercury are backed by the certification according to NSF/ANSI Standards 42 and 53 by the the Water Quality Association (WQA). 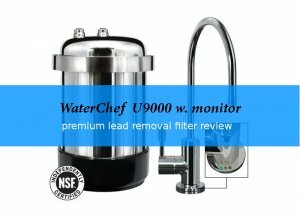 Too bad, this filter does not remove fluoride as well. The filter unit is made of plant-based material from renewable resources. If you think about the typical petroleum-based plastic that most other companies use for their filter cartridges, the advantage for the environment is quite obvious. It does not filter out fluoride. This filter pitcher is ideal for everyone who prefers sustainable products combined with beautiful design. The filter is 100% plant-based and the company behind it not only makes an effort to create sustainable products, they also see that their supply chain is following their standards for labor practices, sustainability, transparency, animal-welfare, and anti-discrimination policies. 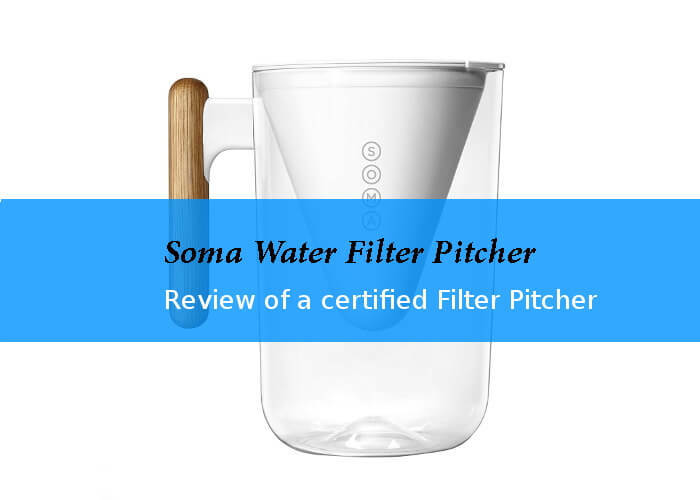 The list price for the Soma water filter pitcher is $40 and includes one filter cartridge. 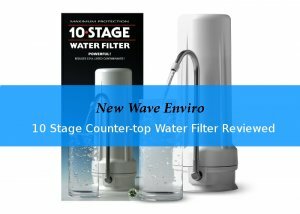 The Soma plant-based replacement filters (Pack of 2) cost around $20 (list price). Amazon now sells Soma products, often at reduced prices.